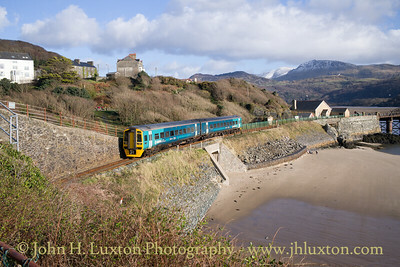 Transport for Wales Class 158 DMU 158839 passing Tywyn Wharf station with the 11:37 Pwllheli to Birmingham International on February 19, 2019. 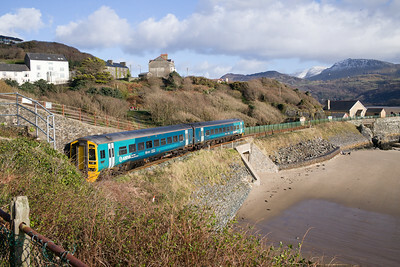 The unit is still wearing Arriva Trains Wales livery but carrying Transport for Wales branding. 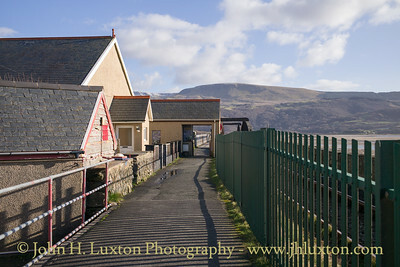 Tywyn Wharf where slate was transferred from the Tal-y-llyn Railway to the Great Western Railway Cambrian lines. 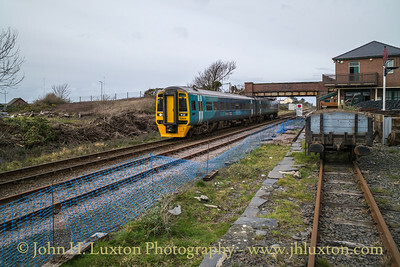 Transport for Wales Class 158 DMU 158839 passing Tywyn Wharf station with the 11:37 Pwllheli to Birmingham International on February 19, 2019. 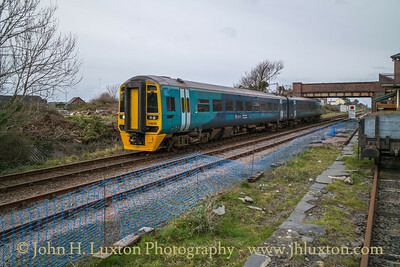 The unit is still wearing Arriva Trains Wales livery but carrying Transport for Wales branding. 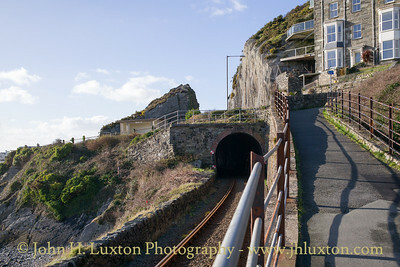 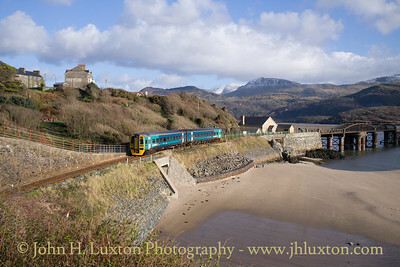 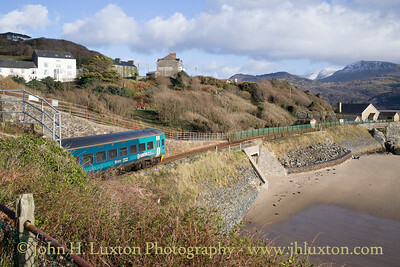 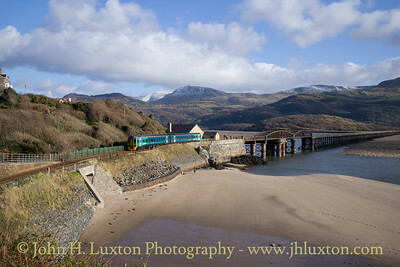 A Birmingham bound train seen on the Cambrian Coast Line near Barmouth. 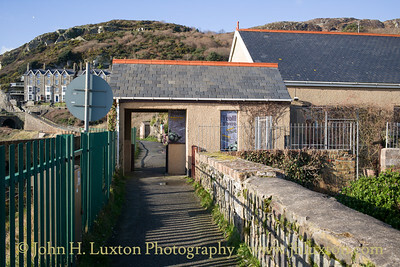 Barmouth Viaduct Access Group notice near the Barmouth Bridge Toll House. 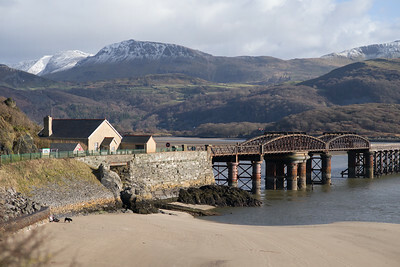 The group aims to improve access to the pedestrian walkway across the bridge. 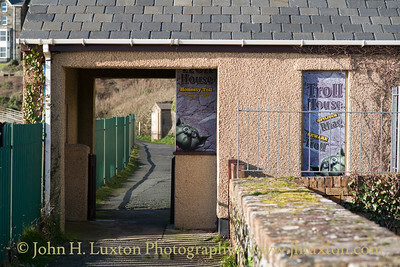 Barmouth Bridge Toll (or Troll) House - pedestrians are encouraged to make a donation into an honesty box to help in assisting in the maintenance of the bridge. 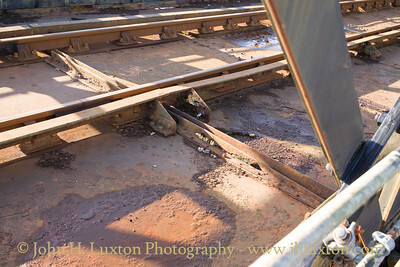 Although the bridge is designed to swing - the installation of continuous welded rail means that the bridge has not swung since the 1980s. 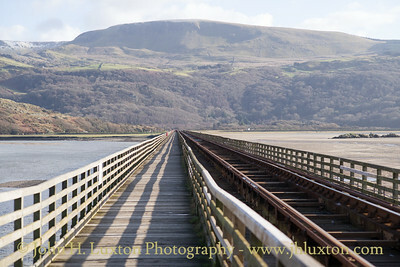 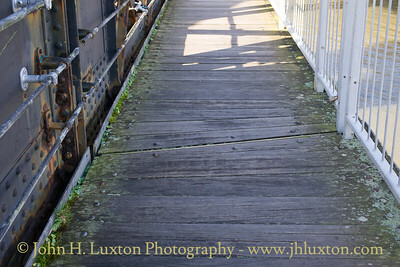 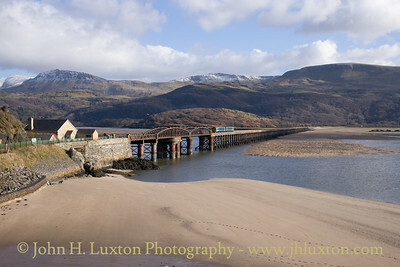 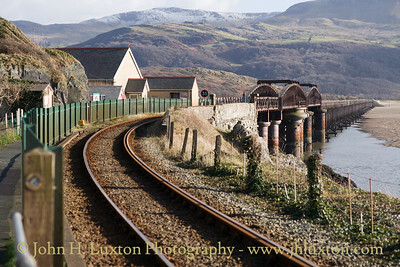 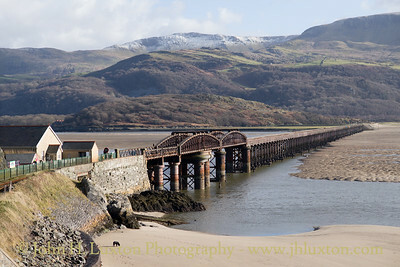 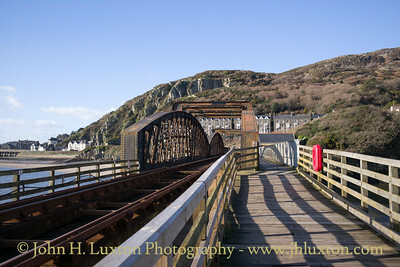 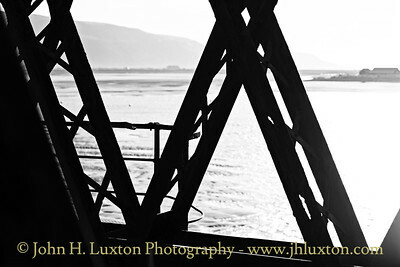 View along the metal spans of Barmouth Bridge / Viaduct. 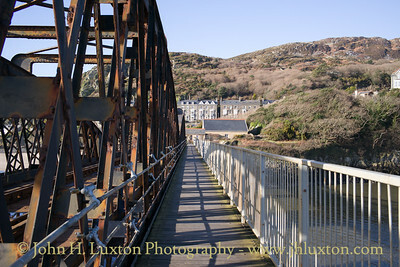 The bridge appeared in the the 1931 (and 1941 remake) of the Arnold Ridley movie "The Ghost Train"